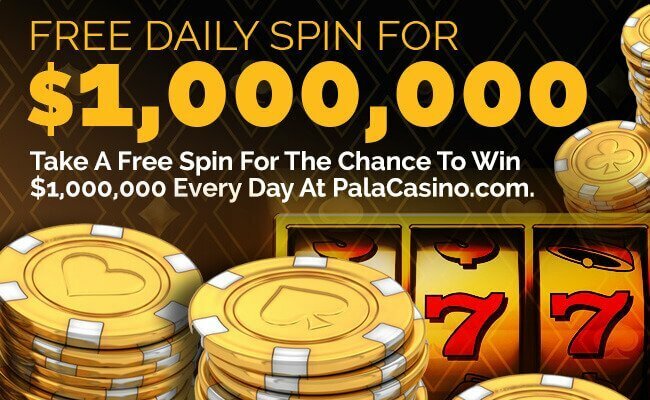 Best US Online Casinos April 2019 | Play online casino games! This article is a comprehensive guide of the best US legal online casinos and includes online casino ratings and reviews, as well as the legislation surrounding online gambling in the country. You will also find a few of the most frequently asked questions regarding the legality of online gambling in the US. Is it Legal to Play in Online Casinos in the US? US Online Casino Licensing: What is the status? Which Online Casino are Legal? Several online casinos offer legal gambling online experiences, some of which have millions of active players and stellar mobile applications for those on the go. Some stand out for their in-house developed slots and countless slots tournaments while others allow players to challenge their Facebook friends and earn rewards. Apart from the many daily promos and generous welcome bonuses, free online casinos that have received their licence to operate in the US (where the state law allows it) also surprise players with thousands, even millions, of free coins (i.e., if they connect their Facebook account with the legal online casinos), daily multi-table Blackjack tournaments, amazing progressive jackpot on the internet, and many more. The online casino list keeps adding new members daily, though. New Jersey: It passed an online gambling law in 2013, allowing Atlantic City online casino and poker sites to apply for internet gaming permits. Sports betting is also allowed. Pennsylvania: Although online casinos are not yet operational in the state, Pennsylvania can offer legalized and regulated casinos per law, as of October 2017, which is part of a larger act that legalized online lottery, online poker, online poker, daily fantasy sports, sports betting, satellite casinos, and video gaming terminals in truck stops. The situation with online sports betting is still unclear (and stagnant), though. Delaware: Online gambling is legal since 2012 and now has several online casinos offering a variety roulette, blackjack, video poker, online poker, and video slots games. Delaware was also the first state to offer online sports betting. West Virginia: It has legalized online sports betting on August 2018 but not online casinos. Mississippi: Online sports betting is allowed since August 2018, but its gaming laws have no provision to allow mobile online wagering at the moment (only mobile betting onsite). Rhode Island: Online or mobile sports betting is not legal yet, despite the fact that a law signed in June 2018 allows sports betting inside the state’s borders. Nevada: Online casinos are legal in the state but they can only offer online poker. When it comes to online sports betting, the casinos can create mobile apps for online sports betting, but there are no websites offering sports betting-only services. 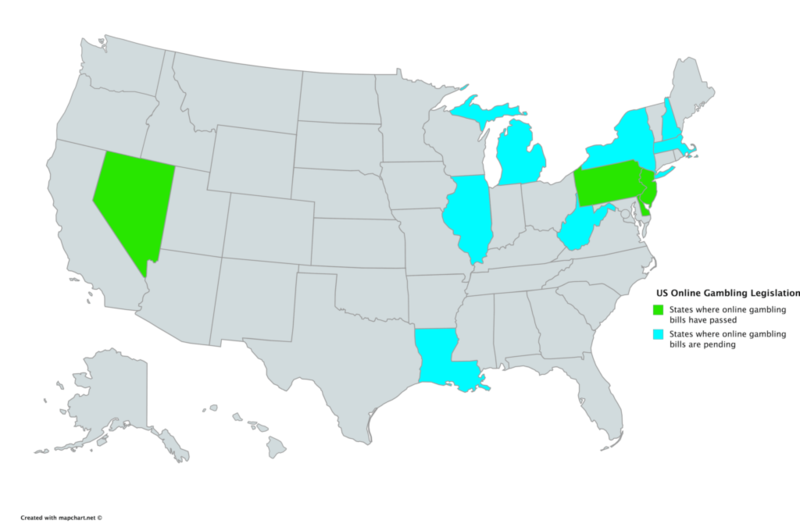 For Daily Fantasy Sports enthusiasts, the states of New York, Massachusetts, Nevada, and California will please them greatly as they have passed laws that legalize DFS sites. Some US states have declared online gambling completely illegal while others have legalized it. Somewhere in the middle are the states that are in the process of legalizing online gambling with legislation currently pending. Also, as shown in the list above, not every single type of online gambling is entirely legal in states that have regulated industries (e.g. in Nevada, only online poker is legal). As for sports betting, the US Supreme Court has recently lifted the ban (May 2018), allowing states to decide whether they wish to permit sports betting or not. Alabama: Some Alabama laws make online gambling illegal, one making it a Class C Misdemeanor and another prohibiting the possession of a gambling device (Class A Misdemeanor). However, the statute defines a gambling device as illegal if it is used with the intention to advance an unlawful gambling activity, so there is a bit of a confusion there. On the other hand, there is no reference in the state code that makes online gambling patently illegal, so nothing actually places online gambling under the purview of “unlawful gambling activity”. What is clear about online gambling in the state of Alabama is that no company or individual can operate Online Gambling within the state. Alaska: Online gambling is probably illegal in the state. According to state law, if an individual engages in “unlawful gambling” (any gambling activity not allowed by law), they commit the offense of gambling. However, internet gambling has not yet been explicitly legalized. The first offense is considered a violation while subsequent violations result in Class B Misdemeanor. Arizona: Online gambling is illegal in the state and is regarded as a Class I Misdemeanor. Arkansas: State laws clearly define online gambling as patently illegal. California: The four bills that legalized online gambling are no longer in effect due to inaction. It is possible, though, to be re-introduced in the future. A proposal to legalize and regulate sports betting was made last June but was pushed for the 2020 election. As of now, there is no California State Law that explicitly prohibits players from online gambling but does not allow operators to have their websites within the state’s borders. Locally, though, online gambling could be illegal. Colorado: Online gambling is patently illegal in the state. However, it is a Class 1 Petty Offense that may lead to a penalty. 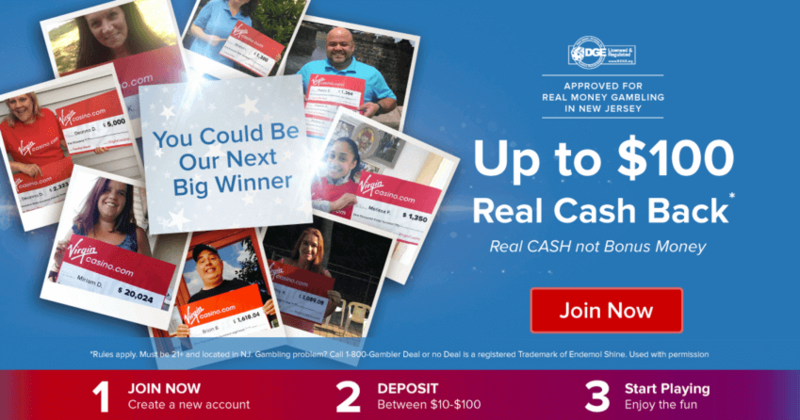 Connecticut: The law is straightforward here – online gambling is a crime (Class B Misdemeanor). Delaware: According to state law, regulated online gambling is legal. However, owning a gambling device is illegal (Class A Misdemeanor), which is confusing, especially if the gambling device is a computer (the sites are regulated – hence, legal – but playing at them is not). Florida: Engaging in any form of unregulated gambling is a Class B Misdemeanor. Georgia: Online gambling is patently illegal in the state. Hawaii: Any engagement in any form of gambling in the state is patently illegal under state law. The only exceptions are Home Games and Social Gambling. Idaho: Everything about gambling is prohibited in the state. Gambling is a misdemeanor, except for the gambling activities allowed by the State. Illinois: Besides the state-regulated forms of gambling, everything else is patently illegal and classified as a misdemeanor. The 2013 Chicago Casino Development Act (provision SB1739) made online gambling legal; however, it was eventually removed from the bill. Another attempt to regulate online poker in 2017 is still in pending mode (not yet been approved by the Illinois House of Representatives). Indiana: Illegal gambling in the state is a Class B Misdemeanor, and any device used for online gambling is illegal under state law. Iowa: Making any bets is illegal in Iowa and comes with a penalty that may range up to a Felony, based on the sums involved. Kansas: Online gambling is illegal (Class B Misdemeanor) unless it is a gambling form allowed by the State. Kentucky: It is illegal to advance gambling activities in Kentucky, which appeals mainly to operators. Gambling as a player, though, does not seem to be penalized. Louisiana: The law is clear about online gambling as it explicitly states that “whoever commits the crime of Gambling by Computer shall be fined…[…]”. Maine: Although illegal gambling is criminal activity, being a player engaging in online gambling is not associated with any penalty. Maryland: The possession or use of a gambling device is a crime that can lead to fines and even imprisonment. Massachusetts: There are lots of laws preventing online gambling for operators while gambling is a public place is strictly prohibited. As for individuals winning $5 and more via any form of gambling (exceptions include the gambling under Chapter 23K) could be fined twice the sum they earned from gambling. Michigan: Under Michigan law, online gambling could fall under the purview of illegal gambling if you win over $50 from online gambling activities. Imprisonment and a $1,000 fine are also possible. Minnesota: Making a bet is a Misdemeanor that carries no penalties whatsoever so online gambling is probably legal. Mississippi: Any engagement in any form of gambling not authorized by the State is illegal and penalized with a fine of up to $500 and up to 90 days incarceration. Missouri: Any form of gambling not permitted by the State is a Misdemeanor. Montana: Updated in 2015, the Montana gambling law defines online gambling a crime (misdemeanor penalty is $500 for a first offense and up to 6 months in prison and/or $1,000 for a second offense within 5 years). Nebraska: According to State laws gambling is defined as risking something of value on any game that comes with an element of chance. Therefore, online gambling is illegal and calls for Class IV Misdemeanor for players that win less than $500 in a single day. Nevada: Playing online poker at operators that have received a license to operate within the State s legal. However, other forms of online betting are considered a Misdemeanor. New Hampshire: Gambling in any form is illegal per 647:2 law and is a Misdemeanor. Exceptions include gambling modes specifically authorized by the State. New Jersey: The state has fully legal online casinos and any crimes outlined by the state code mainly focus on operators; not players. New Mexico: Online gambling (where gambling is defined as making a bet) is illegal and a Misdemeanor unless specifically authorized by State. New York: It is legal to engage in online gambling activities and any laws related to illegal gambling focus on online gambling operators rather than players. Some poker games may also be allowed in the near future. North Carolina: An individual participating in any game of chance(the state’s gambling definition) is conducting a Class II Misdemeanor (other than the gambling specifically permitted by the state). North Dakota: Gambling is conditionally illegal in the state (except for state-sanctioned gambling) given that only those who bet more than $25 per event are considered to be conducting Class A Misdemeanor. Ohio: Playing games publicly is outlawed in the state unless otherwise allowed by law. Other than that, though, no penalties related to online gambling seem to be applied. Betting with a bookmaker and engaging in illegal gambling (i.e., a substantial source of income) are a few notable exceptions, though. Oklahoma: Any individual engaging in any gambling form that is not specifically authorized by the State faces 1-30 days of jail time or a fine between $25-$100 (or both). Oregon: Unlawful gambling is a Class A Misdemeanor (except for the gambling specifically permitted by the state). Pennsylvania: Operators face penalties for unauthorized forms of gambling (not players). Rhode Island: Operators and participants of Social Games face serious penalties. There is no penalty related to players gambling online, though. South Carolina: Individuals engaged in home games are strictly punished that may lead to up to 30 days imprisonment. South Dakota: The State law considers the engagement in any form of gambling illegal (Class 2 Misdemeanor) – except for those specifically legalized by the State. Tennessee: The same as with South Dakota with the difference that online gambling is a Class C Misdemeanor. Texas: It is illegal to participate in any gambling game (except for those sanctioned by the State) and is a Class C Misdemeanor. Utah: The same as Texas; only the act of gambling in Utah is a Class B Misdemeanor. Vermont: Any form of gambling except for the state-sanctioned ones are punishable by a fine up to $200. Virginia: The same as Texas. Washington: Any not state-sanctioned form of gambling is illegal and transmitting or receiving gambling information is a Class C Felony. West Virginia: Casinos and slot parlors are legalized but, on the other hand, home games and all other forms of gambling are illegal. According to the code, if an individual executes an illegal bet in the state, they will pay a fine up to $300 or face up to 3 days in prison if they fail to pay the fine. Wisconsin: Online gambling is a Class B Misdemeanor unless a player engages in state-allowed forms of gambling. Wyoming: Social gambling and many other forms of gambling is allowed in the state. However, the statute makes no reference to online gambling, which makes it illegal (fined with up to $750 and up to 6 months in prison). Nevada has always been a popular casino destination while Las Vegas is a gambling mecca for millions of people. No wonder the state has already legalized and successfully regulated online gambling operations within its borders (passed relevant legislation in 2013). The monitoring and regulation of casino operations are overlooked by the Nevada Gaming Control Board and the Nevada Gaming Commission. In 2012, the State Senate passed the New Jersey Casino Control Act, which legalized internet-based casino and poker rooms. Right now, there are several regulated casino operators that accept local players and provide them with a wealth of poker and casino game over the Net. Some forms of casino and gambling operations are already legalized in the state of Delaware. In 2012, the State Senate passed the Delaware Gaming Competitiveness Act, which was the first step towards the legalization and regulation of online gambling. The three local casinos have applied for acquiring online licenses so they can operate gaming and casino websites. Which Online Casino Sites Are Legal? Legal online casinos usually offer special bonus codes to a new customer that signs up with them. These promo codes unlock welcome offers and other promotions available on the operator’s website. 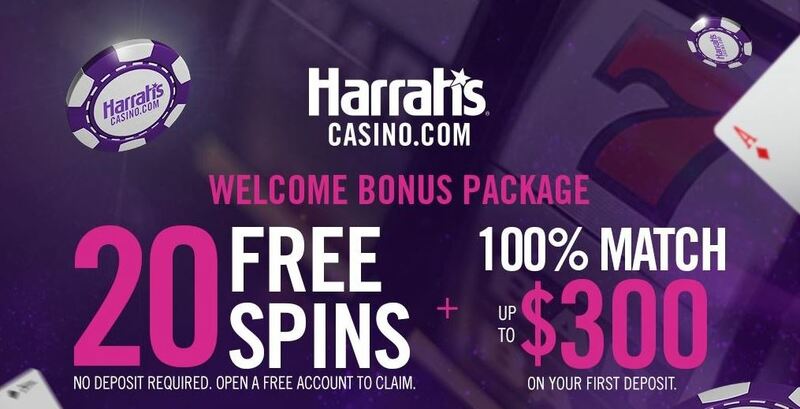 Depending on the promo available that the time of your registration, you may also use the online casino promo code to receive free bets, free spins, a matched deposit, reload bonus, a games-specific offer, and many more. The USA gambling laws are quite confusing while many of them are also out of date and don’t address the online aspect of it. To stay on the safe side, check your state’s legislation about online gambling. However, there is certainly no law that makes online gambling explicitly illegal for a US player. Depends on which websites you use. Sticking to the ones that are properly licensed and have a good track record and solid reputation will help towards enjoying a safe online gambling experience. Also, check out the online casino ratings, and how each legal online casino scores against key metrics. How do I Choose the Best Legal Online Casinos? 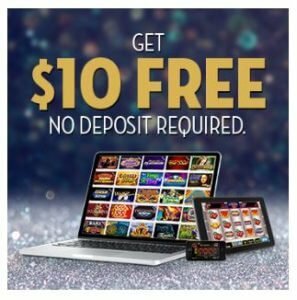 Besides licensing and registration, other factors to consider may include site security, customer service, payouts, banking options, and reliability, you also need to consider the available promotion; there are deposit-free online casinos, matched deposit welcome offers, free bets promos and more. 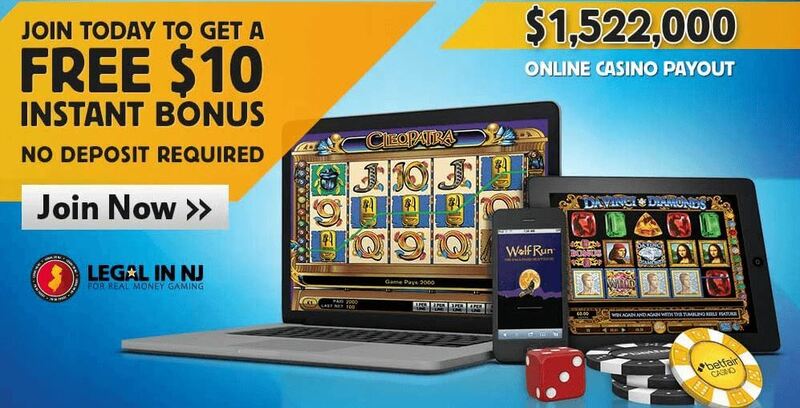 How do I know if I’m eligible to get an online casino bonus?